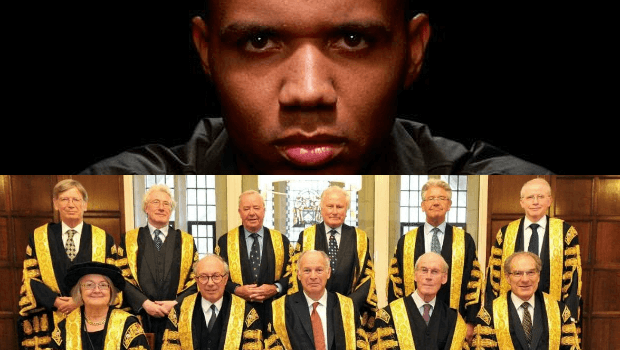 After almost 3 years of court battles and multiple high-profile appeals that ultimately reached UK Supreme Court, Phil Ivey will not receive the £7.7m he "earned" playing Punto Banco at Crockfords Casino thanks to his use of edge-sorting. It was like a scene from a Hollywood movie: a player taking advantage of marked cards to win big at the casino. Unfortunately for Phil Ivey, and the wider gambling community, this particular story does not come with a happy ending! Ivey was accused of cheating by the Crockfords Casino (now a Genting property) in London back in 2012. They refused to pay out the near £8 million sum that he had won on Punto Banco, a variant of Baccarat. The case hinged on his alleged use of edge sorting, a card counting technique that is not technically illegal but frowned upon. Despite its legality, the original court hearing in 2014 was awarded to the house, although Ivey was granted his day at the UK Supreme Court. At the hearing this week, the presiding judge was asked to rule whether edge sorting, despite its legality, is a form of cheating as it implies dishonesty. "What Mr Ivey did was to stage a carefully planned and executed sting." "It makes no sense that the UK Supreme Court has ruled against me, in my view, contrary to the facts and any possible logic involved in our industry. It is because of my sense of honour and respect for the manner in which gambling is undertaken by professional gamblers such as myself that I have pursued this claim for my unpaid winnings." In the old Scooby Doo cartoons, the evil protagonist would mutter the immortal line "and I would have gotten away with it but for those pesky kids" upon their apprehension. And perhaps Ivey would have gotten away with his ‘dishonesty’ if he had just kept his cards closer to his chest. Punto Banco, like most casino card games, is one based purely on chance, with the player clearly not supposed to know which cards are being dealt and when. But edge sorting is a technique that identifies minor imperfections on the back or on the edges of the cards, offering an advantage to the player. One UK lawyer described the case as "one of the most significant decisions in criminal law in a generation" and clearly the deck has been shuffled in the house’s favour once again if genuine and legal in-game tactics are being outlawed even if they are judged not to be dishonest. As one of the planet’s most recognisable poker stars, Phil Ivey has amassed a fortune of a reported $23 million based on his gambling activities alone. But he has a habit of getting into legal bother. Alongside the Supreme Court’s decision not to award Ivey his winnings, Ivey was also forced to repay more than $10 million he claimed in winnings back to a casino in Atlantic City. "By using cards they caused to be manoeuvred in order to identify their value only to them, Ivey and Sun adjusted the odds of baccarat in their favour. This is in complete contravention of the fundamental purpose of legalised gambling." Ivey was inducted into the World Series of Poker Hall of Fame back in July alongside David ‘Devilfish’ Ulliott, which came after he climbed to fifth in the all-time live poker tournament list when taking his career earnings past the $23 million mark. That tally does not include earnings from cash games and online play. So perhaps the loss of that $10 million courtesy of the UK Supreme Court won’t damage Ivey’s bank balance too badly.